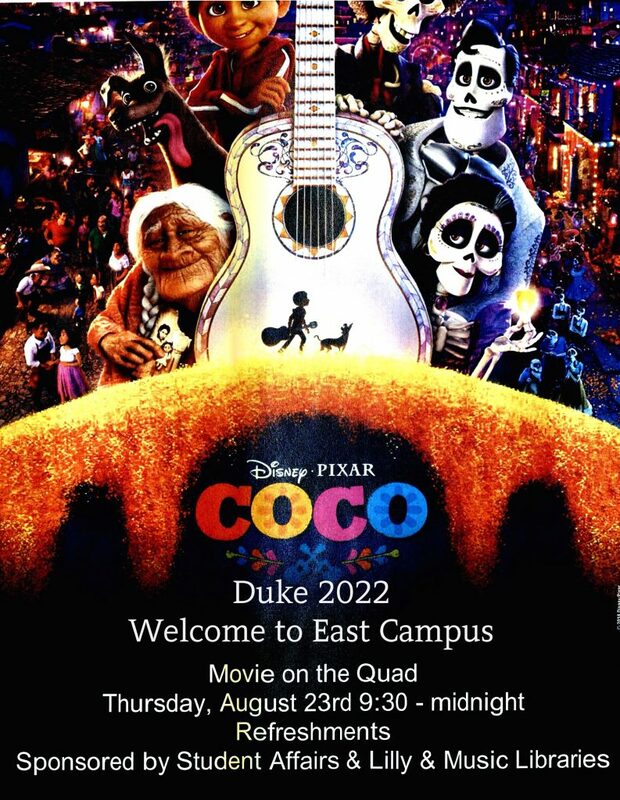 On August 21st, the newest Blue Devils, the Class of Duke 2022, will arrive on East Campus for Orientation, also known as Big-O Week. Numerous events, workshops and programs are presented to ease the transition to life as an undergraduate. The two libraries on East Campus, Lilly Library and Duke Music Library welcome our newest neighbors and do our part to introduce the newest “Dukies” to the powerful research resources of the Duke Libraries. On Move-In Day exclusively, Lilly is the pick up site for Blue Devil Delivery for pre-ordered textbooks and computers. Lilly is home to the film collection as well as a range of other material, and Music … is self-explanatory. In addition to the Movie on the Quad, Lilly and Music will host a Superheroes Open House the first week of class. Duke 2022 can explore our powerful library services : experts in research, 3D labs, streaming media, Residence Hall Librarians, study spaces – and enjoy food and win prizes! Get to know your Duke University Residence Hall Librarians – Yes, your East Campus dorms have librarians assigned to help you! Look for their emails during the academic year. Here’s to a great year ahead filled with academic success!